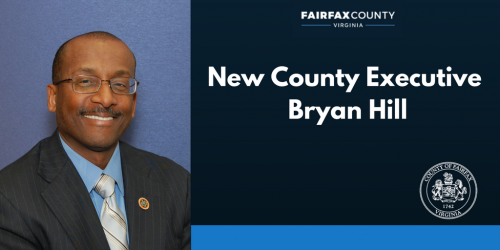 The Fairfax County Board of Supervisors appointed Bryan Hill as county executive, effective Jan. 2, 2018. Hill is currently the James City County, Va., administrator and clerk to its Board of Supervisors. He replaces Edward L. Long, who retired in September. Kirk Kincannon is currently serving as acting county executive. Hill has been with James City County since 2014, and he previously spent seven years with Beaufort County, S.C. as deputy county administrator. At James City County, Hill is responsible for oversight of staff, major infrastructure projects, economic development, transportation initiatives and the development and implementation of the county’s first strategic plan. He recently led the realignment of the county’s debt portfolio, which resulted in AAA ratings from each of the three major bond rating agencies. Hill is the recipient of an award for academic excellence from the American Association of Budget and Program Analysts, and while at the University of Maryland, he earned the A. James Clark School of Engineering Staff Award and a commendation from the Department of Aerospace Engineering at its 50th anniversary celebration. He has a bachelor’s degree in public administration from Alfred University and a master’s degree in public administration from the University of Southern California. Hill will receive an annual salary of $250,000. Bulova also applauded Kincannon for his work. “I would like to thank our acting county executive for his fantastic work and support over the past few months while the Board of Supervisors and Human Resources Department underwent the county executive search and hiring process,” she says.